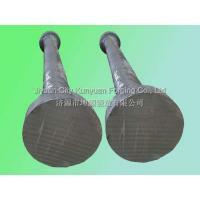 Quality Carbon Structural Steel, Alloy Structural Steel, Carbon Tool Steel, Alloy Tool Steel, Roller Steel, Die Steel, Heat-resistant Steel, Stainless Steel, Bearing Steel and some high alloy tool steels. As per clients' request, the smelting methods for our forging products can be electric are furnace, vacuume degassing or ESR. Delivery condition: annealing, normalizing( tempering), rough machining, heat treatment, and magnetic particle inspecition or ultasonic detection. GB, YB, JB, ASTM, DIN, BS, NF, JIS, AFI, ISO and the standards from other countries or companies.